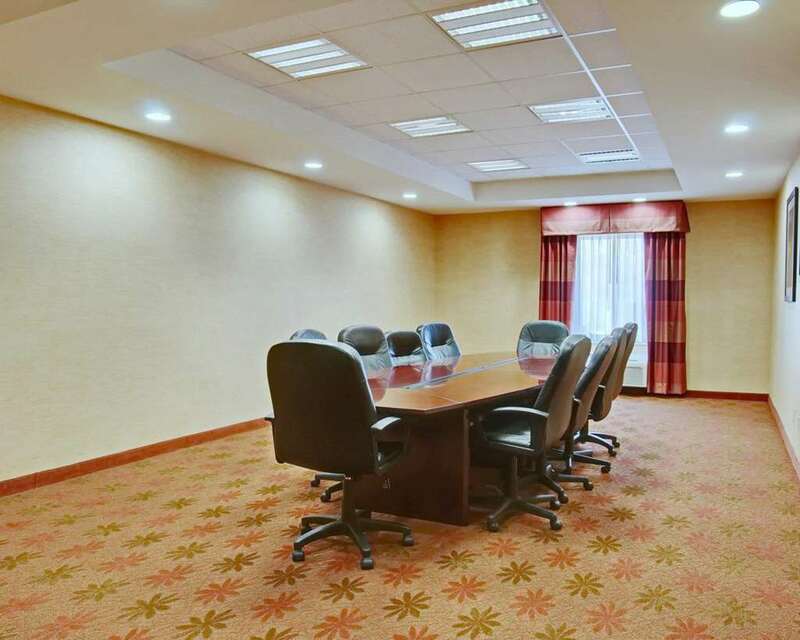 Get more of the space you need to spread out, relax or work at the smoke-free Comfort Suites Salem-Roanoke I-81 hotel in Salem, VA near Roanoke College. Nearby attractions include James I. Moyer Sports Complex, Roanoke College, Salem Civic Center, Dixie Caverns and Lake Spring Park. Enjoy amenities like free hot breakfast, free WiFi, indoor pool, fitness center, guest laundry facilities and access to copy and fax services. Spacious suites include a flat-screen TV, coffee maker, hair dryer and recharge device. Also, earn rewards including free nights and gift cards with our Choice Privileges Rewards program.